The Squier Affinity Series Precision Bass PJ Bass Guitar Olympic White features an alder body, a maple neck, a rosewood fingerboard and an Olympic white finish. 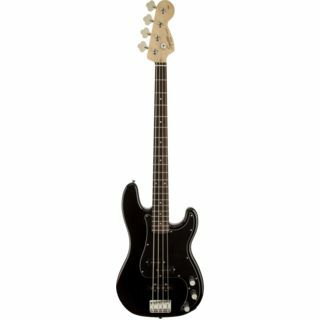 As one of the best value bass guitars on the market, the Squier Affinity Series Precision Bass PJ offers classic tone and a comfortable feel with updated features. A punchy Jazz Bass bridge pickup with the traditional split single-coil Precision Bass pickup makes this guitar tonally versatile thanks to separate volume controls for each. 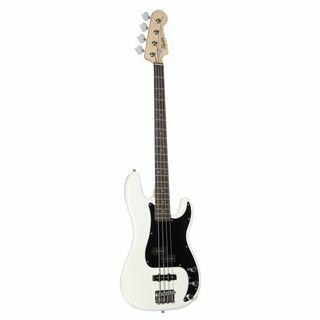 This Precision Bass contains a maple neck with a “C”-shaped profile and 20-fret rosewood fingerboard adorned with white dot inlays. A three-ply black/white/black pickguard is a classic stylish touch along with an elegant gold and black two-colour headstock logo. I am more than satisfied with this product. Easy to play and not heavy. The color is beautiful. You can get many different sounds out of it. 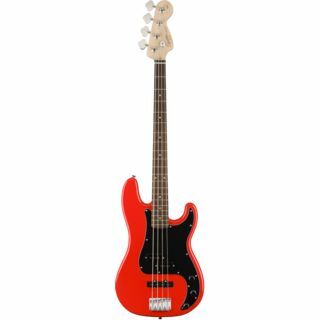 I 100% recommend to anyone who does not want to spend too much money but still get a very decent bass! !